Australian businesses and universities continue to march to the beat of different drums when it comes to research, says a Queensland University of Technology academic. Professor Arun Sharma, deputy vice chancellor (research and commercialisation) at QUT, says that it appears almost as if university research has evolved independently of the innovation that the economy needs. While he says that universities and businesses don’t have to be fully aligned in their research priorities, Professor Sharma notes that the disparity in Australia is serious. 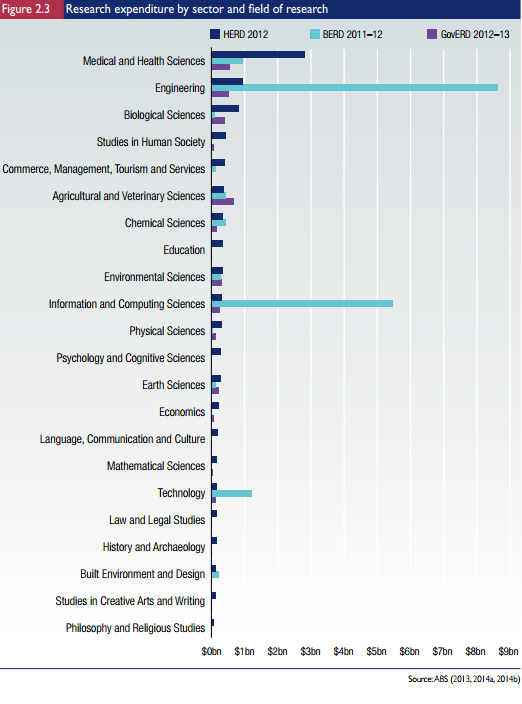 A report by Universities Australia released late last year (see table below), showed that the higher education sector was spending the largest slice of research money (29 per cent) on medical and health sciences. However the business sector was directing its research dollars chiefly to engineering (47 per cent), followed by information and computing sciences (30 per cent). “This could be indicative of a mismatch in Australia’s research effort but more probably reflects the differing roles of universities and business,” the report said. Professor Sharma has played a leading role in developing Australian research in information and communication technology. He co-founded the centre of excellence National ICT Australia Limited, as well as sitting on various roundtables, including the Queensland Premier’s State Smart Council from 2005-11. He says some of the disparity in Australia can be explained by the fact that university research is often funded by external research income, which dictates what is researched. A large part of this funding comes from competitive peer-reviewed grants, which he says are an essential component of any innovation system – but more often consider the needs of the university research workforce rather than the business sector. Recent research from the UN Conference on Trade and Development reveals that Australia’s participation rate in global value chains is lower than that of 22 of the 25 largest-exporting economies. This means that Australia is missing out on a lot of opportunities to value-add, as we trade increasingly in raw materials instead of using our human capital—our ideas and our imagination—to our greatest advantage. In 2011, Australia spent just .227% of Gross Domestic Spending on R&D in manufacturing. This compares to the US, which spent 1.29% and Germany, which spent 1.33% – almost six times Australia’s level. The Australian Government spends $9 billion a year on Research, through grants to the higher education sector (60 per cent), to research institutions such as the DSTO, NHMRC and CSIRO, and through tax incentives. Manufacturing CAPEX (capital expenditure) in Australia peaked in 2005 and has never fully recovered. It’s now at its lowest level since 2001. Australia has one of the lowest numbers of researchers in business enterprises (PhD graduates) in developed nations (3 workers per 1000). This compares to Finland (14 per 1000), the US (9 per 1000) and Germany (7 per 1000). The fourth industrial revolution, or what the Germans refer to as ‘Industry 4.0’, is set to become a reality in the coming decade. 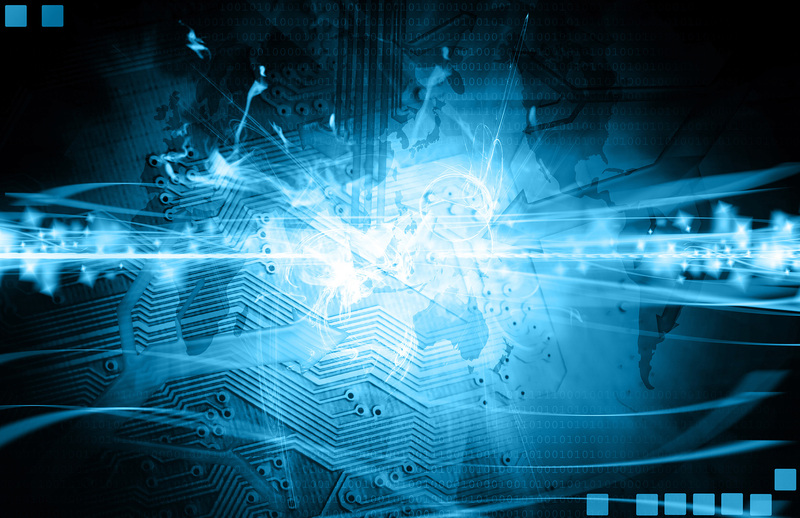 Also known as ‘integrated industry’, this revolution will revolve around smart products, procedures and processes. Pettigrew, A. G. (2012) Australia’s Position in the World of Science, Technology and Innovation, Occasional Paper Series, Issue 2. Office of the Chief Scientist, Canberra. Austrade recently released a comprehensive and insightful document, Why Australia – Benchmark Report 2015. The report provides up-to-date data on areas including growth across various industries, the strength of the university sector, Australia’s globally significant industries and engineering pipeline construction activity across the country. Australia is one of the most innovative countries in the world, among others including the US, Japan, France and Germany. The Industry Growth Centres Initiative is the centrepiece of the Government’s new industry policy direction and part of Ambition 4 of the Competitiveness Agenda. The Dow Chemical Company’s Advanced Manufacturing Plan for Australia was released in Sydney in 2011, by Chairman and CEO of Dow, Andrew Liveris, as a plan for action – a comprehensive set of economic priorities and policy recommendations to create a stronger, more balanced economy. KPMG’s discussion paper on Manufacturing Competitiveness in Australia was developed in collaboration with John Pollaers, Chair of the Australian Advanced Manufacturing Council, and through discussions with key industry executives and government stakeholders, with a view to redefine our understanding of manufacturing. The Advanced Manufacturing Partnership was formed in 2010 by the White House and the US Department of Commerce to identify and tackle the most pressing challenges facing the American manufacturing sector. It is a group of university and college presidents, CEOs from the nation’s most successful manufacturing firms and policymakers across the federal government. The Business 20 (B20) is a forum through which the private sector produces policy recommendations for the annual meeting of the Group of 20 (G20) leaders. The summary report and more detailed task force and working group reports are at the links below.